Don’t miss out - Britain’s No.1 tribute act are booked to perform at Ellesmere Port Civic Hall for one night only! 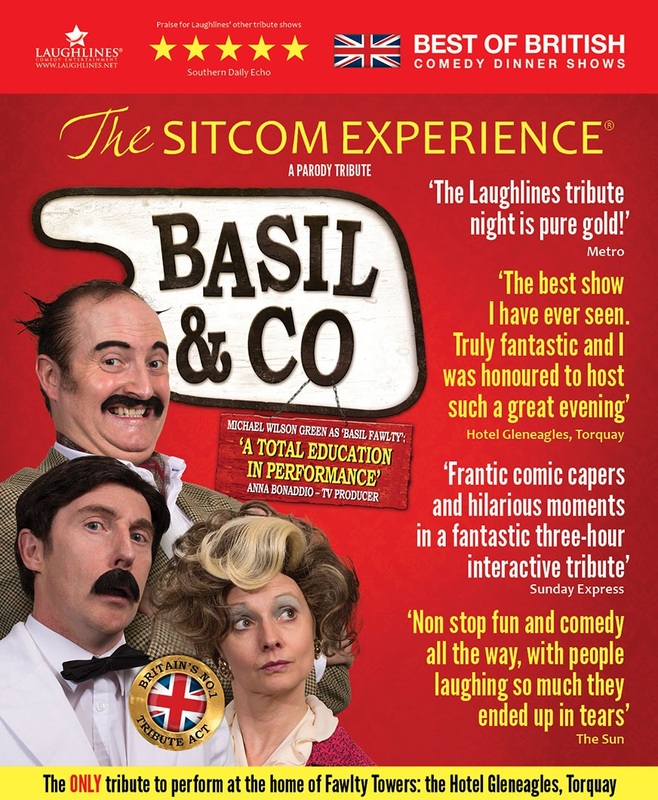 Basil, Sybil and Manuel treat the audience to hilarious comedy dining experience which evokes the popular BBC ‘Fawlty Towers’ sitcom. It’s’ A hilarious evening of non-stop fun and comedy all the way, with people laughing so much they end up in tears' (Yorkshire Post). The fun starts at drinks reception as Basil greets the guests and in true Fawlty style a rip roaring night of comedy ensues, all whilst the audience enjoy a delicious 3-course meal. Anything can happen, service is guaranteed to go wrong and expect lashings of laughter and laugh out loud comedic mishaps from a hapless hotel owner and Spanish waiter. Recently been filmed ‘Live’ at the Hotel Gleneagles by Tiger Aspect Productions for Channel 4 Television and sold out at the Leicester Comedy Festival so be quick and enjoy fine dining at the funniest restaurant of its kind. The improvisation and interaction with the audience was excellent’ Fringe Theatre Review. Outstanding event, thoroughly enjoyed by all. The cast engaged the audience and had them in stitches! –Swan Yacht Club: Perth, Australia. Menu options - Please choose these on the booking page, and let us know of any dietary requirements. Ardennes pate with plum and apple chutney and a seeded bread roll. Fresh Melon with fruit of the forest coulis. Both served with buttery mashed potato, roast potatoes and seasonal vegetables. Strawberry & Clotted Cream Tart with vanilla ice cream.